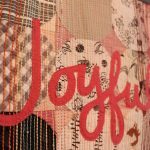 I’m going to teach an Intro to Quilting class at the end of the month at place here in Columbus. Fun, hmm? 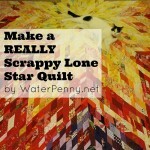 I want to do something fast, fun, simple, and not stolen from a professional quilt designer. 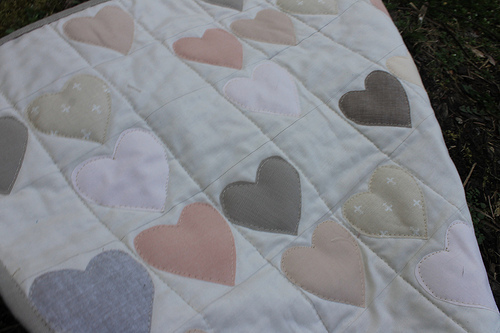 I’m thinking about a baby quilt with an appliquéd heart in the middle. For the materials guide, I was figuring I would tell people just to buy a handful of fat quarters. 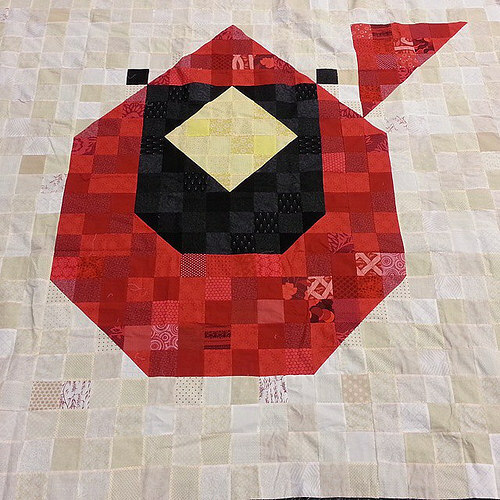 But, now I have to figure out how many fat quarters are in a baby quilt! 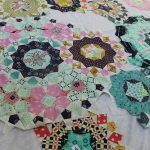 But, today I learned that Fat Quarters are a scrap of fabric that is 18×22. Did you know that? I didn’t! 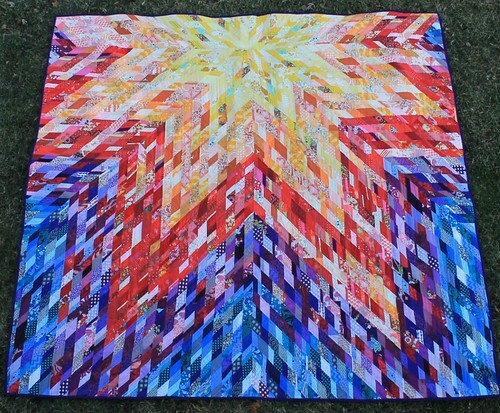 I always assumed it was a quarter of a yard, but never really put it all together. 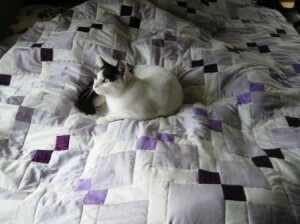 A standard yard of fabric is 36 (1 yard=3 feet=36 inches) x 44 inches wide. A standard handkerchief is 22×22 inches. My cat’s tail is about 11 inches long. So, there you are. 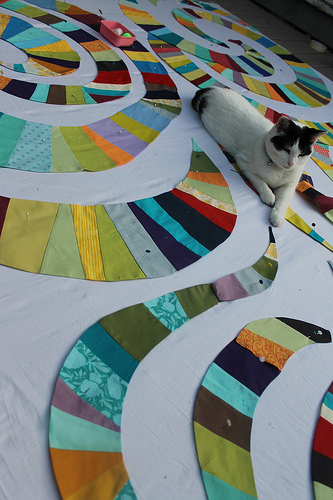 Now that I am in a measuring sort of mood, I’m going to start this baby quilt for my class.